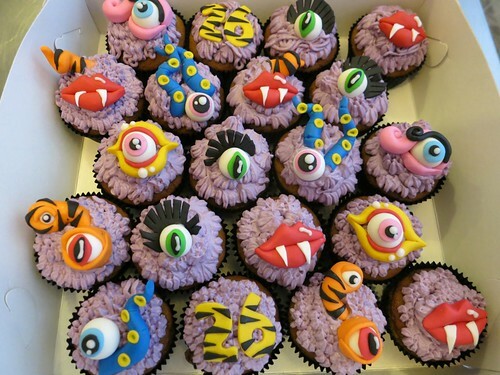 Monster Cupcakes, a photo by CAKE Amsterdam - Cakes by ZOBOT on Flickr. MONSTERS for a 26th monster birthday party! FLAVOR : Spiced Carrot sponge cupcakes with purple cream cheese frosting and fondant decorations.